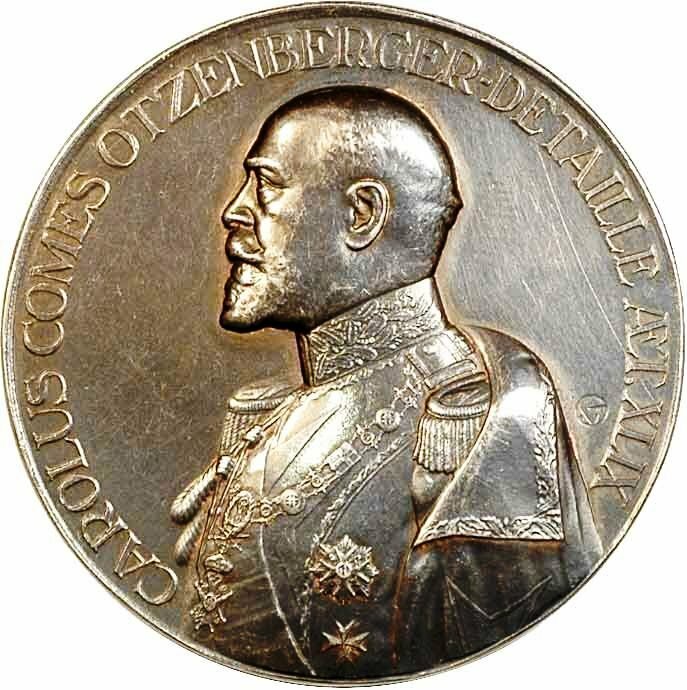 Comte Charles Otzenberger-Detaille (1881-1944) was a member of the Order of the Crown of Thorns. 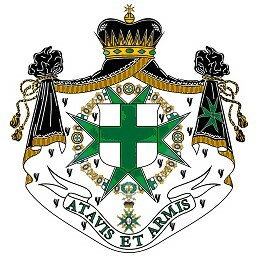 He is best-known for his Grand Mastership of the Order of St Lazarus of Jerusalem. Charles Otzenberger rose from humble origins in Alsace to become a wine merchant, and then head of a vintners’ co-operative, based in Colmar. In 1911, he was received into the Order of St Lazarus of Jerusalem, which was under the protection of the Melkite Greek Patriarch. He spent the war years in Barcelona. He joined the Société archéologique de France, an association which shared most of its members with the Order, in 1921. At the time, both the Order and the Society were under the direction of Paul Watrin, an advocate at the Paris Appeal Court. The character of the Order at this time was markedly Royalist, Legitimist, and Traditionalist. In 1920, Ot zenberger moved to Paris, where five years later he would marry Germaine Detaille, niece of the famous painter Edouard Detaille. As a result, he adopted her name and became Otzenberger-Detaille. In Paris, Otzenberger built up a business exporting machinery to Eastern Europe and Latin America. 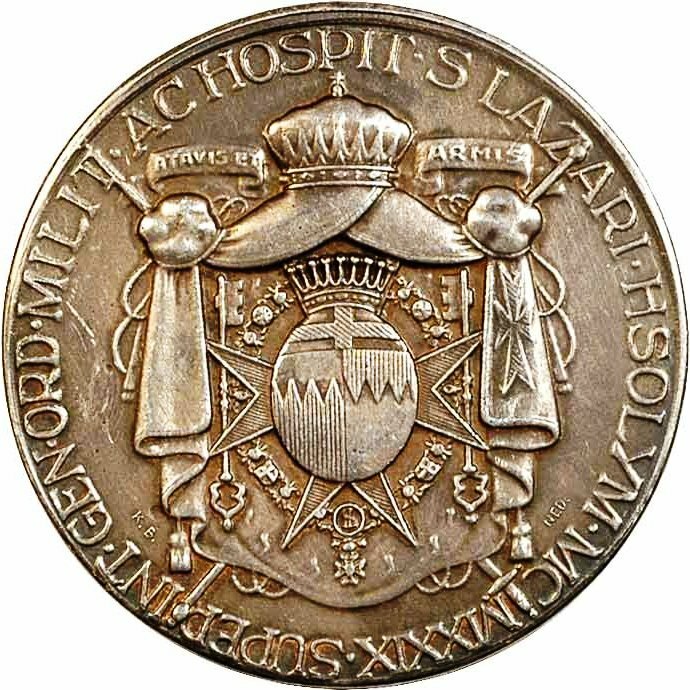 In June 1926 he was appointed as Greffier (registrar) of the Order of St Lazarus, and the following month with the other officers attended a Mass celebrated by the new Melkite Patriarch, Cyril IX Mogabgab, on the occasion of his visit to Paris. By 1929 he had been advanced to Superintendant-General following Watrin’s resignation, and was now in effective charge of the Order. He set about expanding the membership and creating a more elaborate chivalric structure. In protest at this, and following the resignation of the Patriarch as the Order’s Protector in 1930 for which Watrin blamed Otzenberger-Detaille, some of the traditionalist elements placed themselves under Watrin and created a schismatic counter-order, which pursued a lengthy feud with Otzenberger-Detaille’s organization through its journal. Shortly after the resignation of the Patriarch, and in a major step forward for the Order, the Duke of Seville accepted the invitation to become its Lieutenant-General, being elected Grand Master in 1935. During the 1930s, Otzenberger-Detaille was appointed consul of the Dominican Republic in Mulhouse (the President of that nation being a member of the Order), and received the title of count, apparently from the Royal House of Montenegro. Despite opposition from the Vatican and others, who denounced the Order, it continued to gain influential support. After 1940, Otzenberger-Detaille and his deputy Paul Bertrand were appointed Administrators-General and jointly managed the Order in the absence of the Duke of Seville. During the Second World War, the Order in France provided first aid to victims of the bombing raids. The Germans had recognized the Order as a hospitaller organization and permitted it to hold services in in the Church of Saint Louis des Invalides. This led its former head and now sworn enemy, Watrin, to level charges of collaboration with the enemy in his journal. When Paris was liberated in 1944, Otzenberger-Detaille was arrested on suspicion of collaboration, released, and then arrested again. He died within weeks, of gangrene of the foot. Watrin himself passed away soon afterwards, and his schism dissolved.